On Good Friday, March 30, 8 PM, the Church on the Green will worship jointly with Central Presbyterian Church of Montclair in our Chapel. 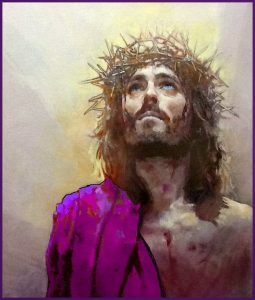 The theme of the service is “The Fabric of Jesus.” Readings and meditations on the fabric of his life, from the swaddling clothes at birth to the purple robe of mockery at his at his trial, will help us to draw near to our Lord in order that he might touch us anew with his wondrous love. All are welcome.